On Meeting The Party Friends. 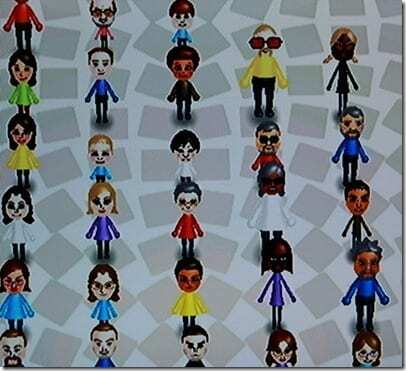 but we have dozens of our friends in there also, which she easily recognizes as they pop in and out of her games because I am, if I may say so myself, a FANTASTIC MiiMaker. 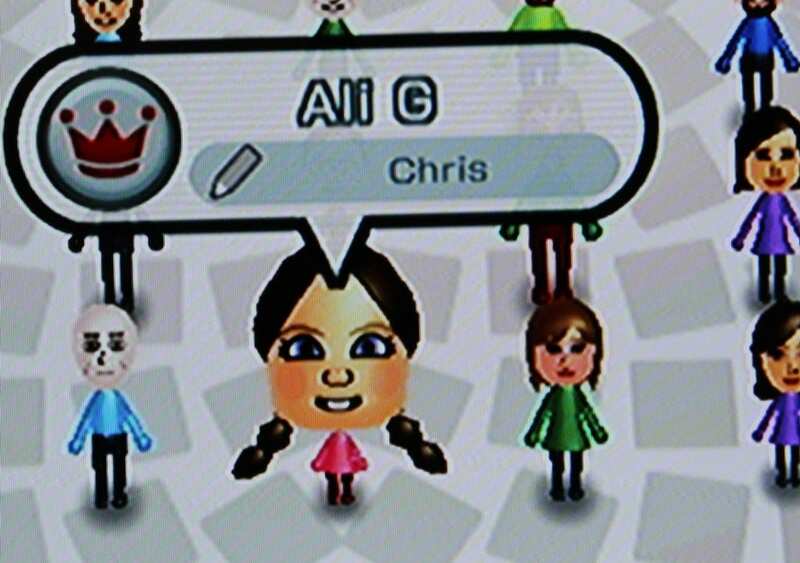 When Ali asked to make some of her own Mii characters, I took it as an opportunity to meet some people that I’ve long been wanting to see. 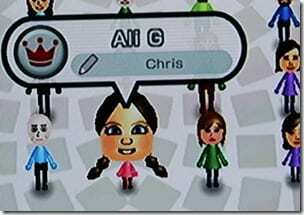 You see, Ali has Party Friends that she plays with every day. They’re her pretend friends, but are called Party Friends because they have many birthdays each year, and, therefore, many parties. Besides all of their birthdays, they regularly die, come back to life, get married, move next door, have their houses destroyed by tornadoes, and many other soap-opera-like story lines. 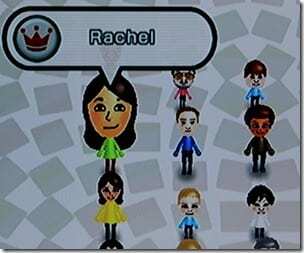 So, since I basically live with these Party Friends, I thought that it was a brilliant idea to let her create their Mii characters so that I could actually see these people that I feel like I already know so well. So she started out with a more recent addition to her Party Friend Repertoire, Vowel. Let me introduce you to Vowel. Vowel is now the definition of the word “creep” in our house. Next, Ali wanted to create Samuel – her longest-surviving Party Friend, to whom she was also married to for a short time. Also – he is Ali’s son. She was on a roll, and was loving introducing me to all of her friends. So next came the witches. They usually live in Mississippi, but they visit sometimes to cause trouble. And, the most common visitor and curse-word-teacher, Serious Witch. Finally, there was the newest Party Friend, Door-Fractions. There was some debate over his (yes, it’s a he) hair color, but she finally decided on red. However, that didn’t stop her from panicking the next day, while we were in the car and couldn’t do a thing about it, over the fact that his hair NEEDED to be yellow, not red. I’m sure it will ease your mind to know that this great crisis has now been put to rest. But now that I’ve met them in person, I’m having nightmares about waking up in the middle of the night and seeing HIM staring down at me. Next Post I’ll Be in the Vault If You Need Me. Those are some creepy friends! It reminds me of my little brother who used to have a friend named Spike who lived on top of a tv tower. 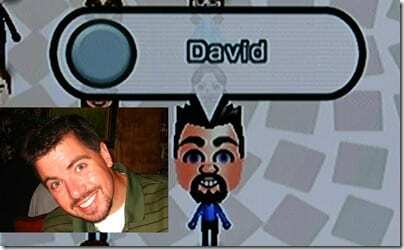 I always wondered what he looked like. Spike on a TV tower? Sounds sketchy. I’m thinking he might have looked suspiciously like Vowel. Vowel is creepy! 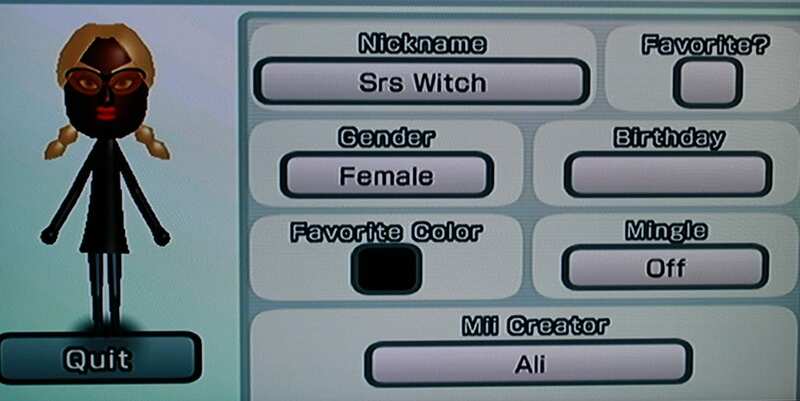 What a fun imagination Ali has. She’s such a smart kid. 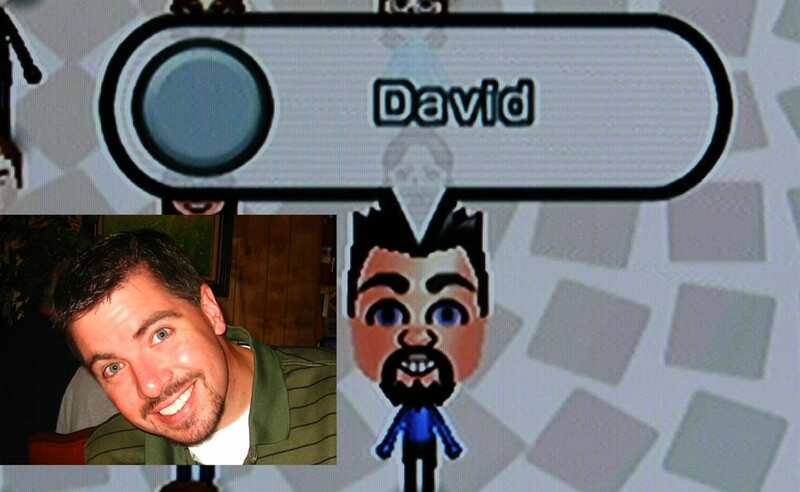 Alex (my nephew who is 3) loves going to where the Mii’s live on my Wii and picking out the people he knows by sight. 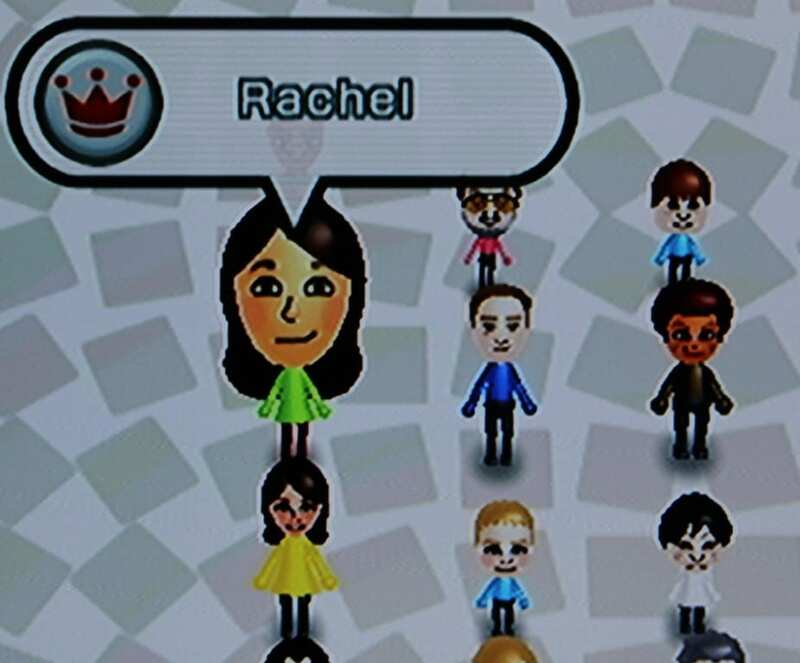 So I guess I am a good Mii creator as well. 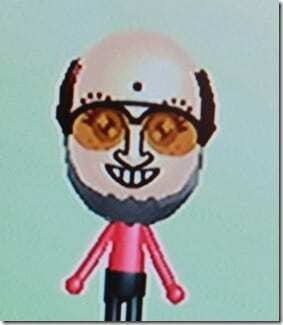 He also recently made is own Mii names Gobby, he kind of looks like Vowel so maybe they are related? Gobby sounds like he should be on Harry Potter!! Oh wait – that’s Dobby. Maybe a relative? Okay.. Vowel? Never getting invited to a party at my house. I’m pretty sure Vowel spends his free time trying to get the people in his cult to drink the poison Kool-Aid. Warn Ali! Ha – that’s awesome! I’m not sure I’d want to see your Dad’s representation of me, though. 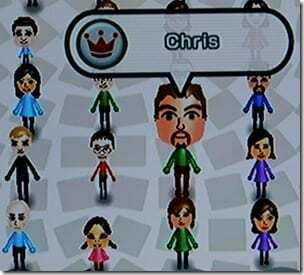 Chris wins for Mii Most Like Me! 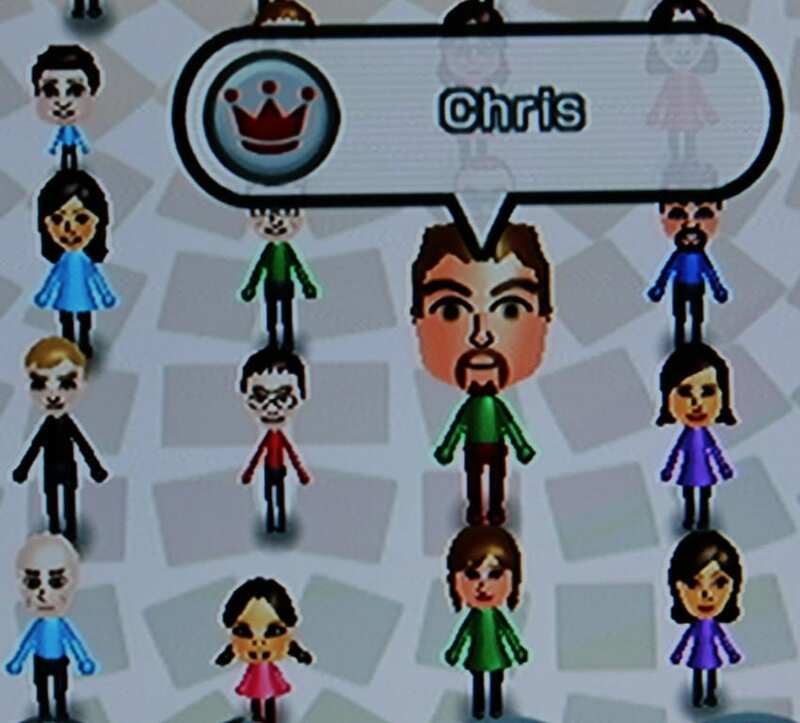 It looks just like him! This post made me laugh so hard that I had tears streaming down my face. So funny! LOL, that is a brilliant way to get to meet her party friends! They are pretty interesting! Funny that only two of them are girls and all of them are creepy! 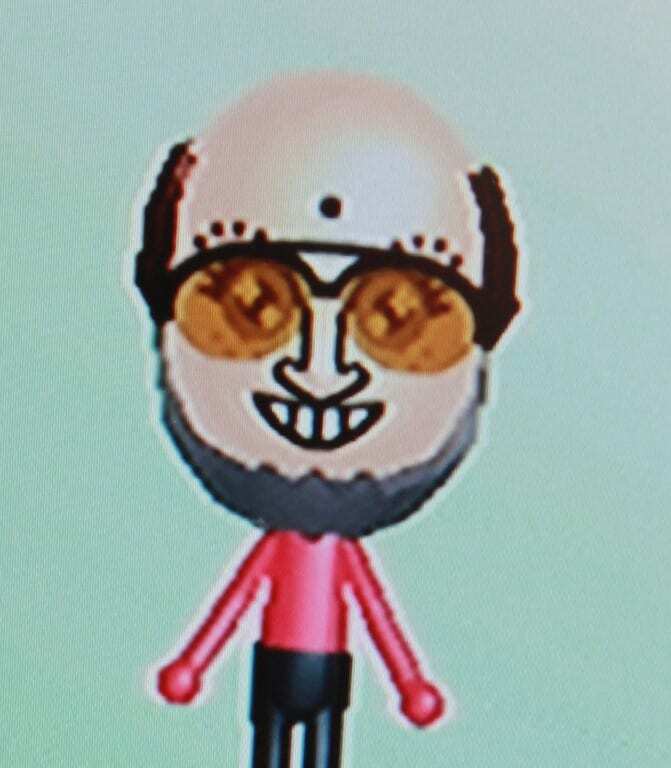 I am super impressed with your mii making ablities though! Thank you for the big laugh this morning. Kids are amazing. Hee hee! 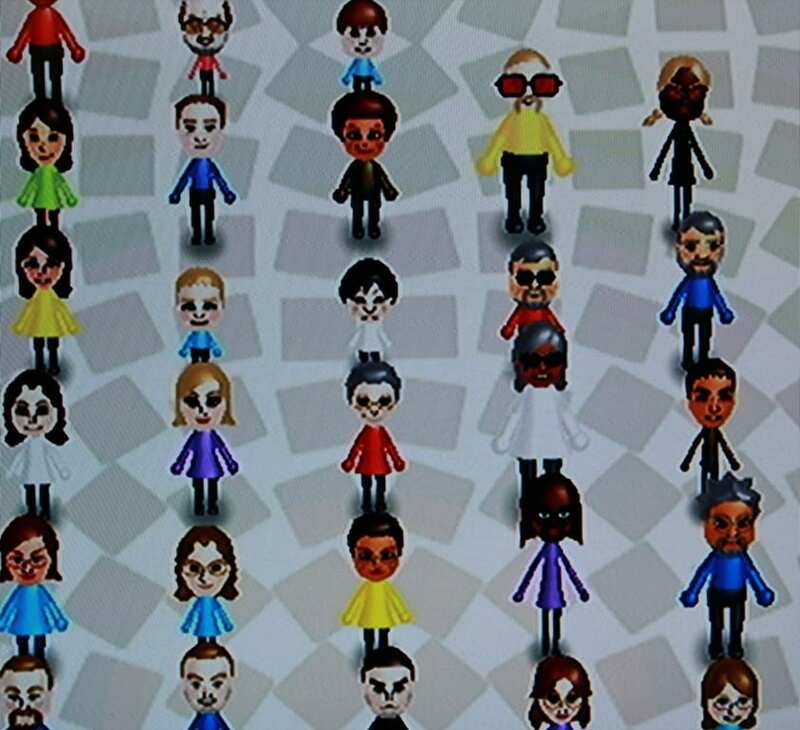 Have you hooked your wii up to anyone else’s? We hooked up with my brother and were surprised when Jesus and Albert Einstein came to visit soon thereafter. Apparently a friend of a friend had them. We need to try that!! That sounds awesome. I want Jesus and Einstein to come visit US! That is creative and super funny! Your family must have a lot of fun together. What a great idea to get to “meet” Ali’s friends :) She sure does have some creepy friends, especially the vowel guy! Except, isn’t Samuel himself a part-rodent grandchild since he’s Ali’s son (was he always or did he become such upon a post-wedding resurrection)? Also, interesting that only two of these friends are female. I just stumbled upon your blog… actually I’m not exactly sure how I got here, but I’m glad I did. I just sat on my couch in a fit of convulsive laughter CRYING at Vowel. For like 15 minutes. I couldn’t breathe. My boyfriend thought someone had slipped something into my Starbuck’s. Thank you for sharing. P.S. Your daughter has some of the most imaginative “Party friends” I’ve ever seen. Kudos.